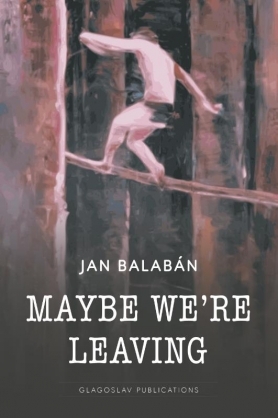 Before his sudden and untimely death on 23 April 2010, he had published several books, mostly collections of short stories, in the now unfettered press of the free Czech Republic. These are: St?edov?k (Middle Age, 1995) Boží lano (The Rope of God, 1998), Prázdniny (Holidays, 1998), Možná, že odcházíme (Maybe We're Leaving, 2004), and Jsme tady (Here We Are, 2006). He also published two novels, ?erný beran (The Black Ram, 2000) and Kudy šel and?l (Which Way the Angel Went, 2003), a screenplay Srdce draka (The Heart of a Dragon, 2001) and a stageplay entitled Bezru??! (No Hands? !, 2009) in collaboration with Ivan Motýl. Zeptej se táty (Ask Dad), the manuscript of a novel that he was working on at his death, was posthumously published in 2010.